The Welding and Fabricating program at Warren Tech teaches skills, values, and work ethic essential to future welders, fabricators, machinists and engineers. Our diversified curriculum starts by emphasizing fundamentals such as safe working practices, math, measurement, and the use of hand and power tools. Students advance to learn Oxy-Fuel cutting, plasma cutting, air carbon arc gouging, forging, metallurgy and heat-treating. Comprehensive training in various welding processes (SMAW, GMAW, FCAW and GTAW) develop skills and prepare students to take proficiency tests representative of those required by several of the most common Welding Codes. Project work forms an important part of our training and varies in scope from small repairs to large complex projects that require significant evaluation, design and fabrication. These opportunities allow our students to learn time and resource management, customer relations, production and process control. 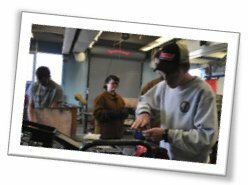 In some instances the students have formed a business that has incorporated marketing and other business functions to provide a product for profit (proceeds going to the welding shop). 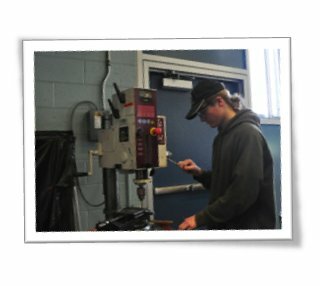 Combined with the classes and projects is training in making and reading drawings, the use of machine tools (metal lathe and vertical mill), and weld inspection techniques. Warren Tech’s fabrication shop is well-equipped and allows students a range of exposure from traditional tools to some of the most sophisticated available (including CNC controlled plasma cutting). Business fundamentals are developed through practice in quoting and tracking performance on real jobs, research into the history of technology, and many field trips to a variety of manufacturing businesses and work sites. There may also be opportunities in the fourth year to participate in work-study programs. Upper classes learn how to research companies, find jobs, interview for them and are encouraged to take advantage of our network of local businesses for both summer and post-graduation employment. Many students elect to continue with college level work after graduating. Students in Welding learn a diversified set of techniques and skills that prepare them for rewarding careers in an in demand industry. Students in this pathway will develop in demand skills that can help them obtain employment. Structured Learning Environment (SLE) work opportunities exist for students during the school day. 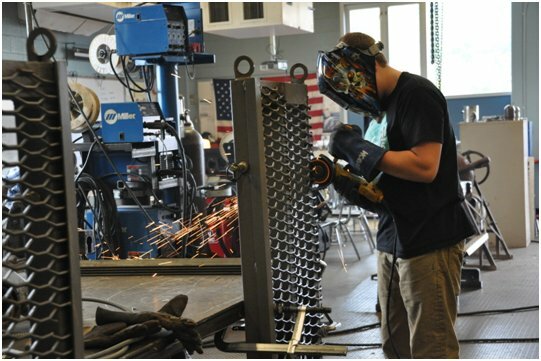 The Warren Tech Welding & Fabricating Career Academy has a variety of pathways available for students to pursue: College, Trade Schools, Entrepreneurship, Military Service, Union opportunities, and the Workforce. Students in the Welding & Fabricating Academy are prepared to pursue jobs upon graduating from Warren Tech. Students in this pathway will develop in demand skills that can help them obtain employment with union and independent contractors. Students are assisted with job placement opportunities including Warren Tech’s Structure Learning Experience (SLE) that allows students to obtain employment while still a student. Students enrolled in the Welding and Fabricating Academy at Warren Tech can begin preparing for two or four year college programs by pairing their shop program with college prep courses. Additionally, the Welding Shop has an articulation Agreement with Northampton Community College whereby graduates of the Warren Tech Welding and Fabricating Program can receive up to 12 college credits at the Northampton Welding Program for work they have completed in the Warren Tech Welding Shop. Students considering entrepreneurship are encouraged to combine work experience in their field of interest with post-secondary education opportunities in business and finance.